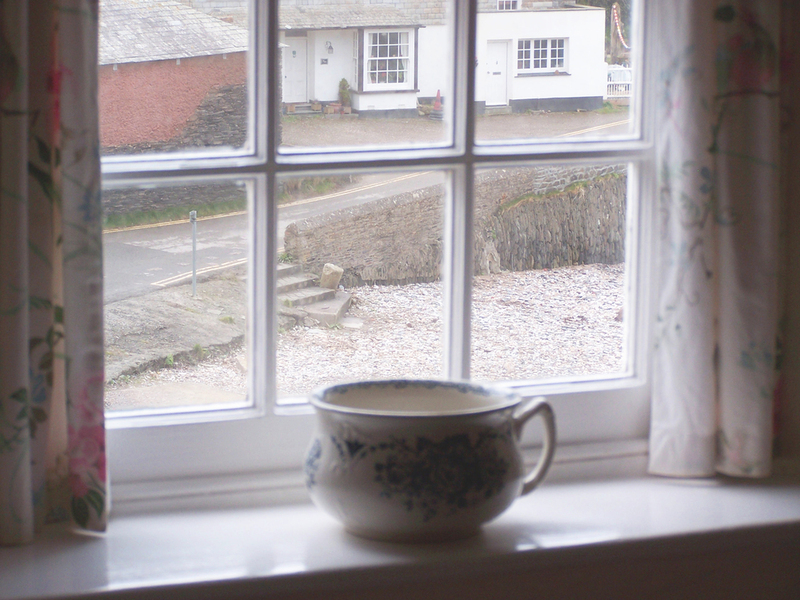 The Pink Cottage, North Cornwall. 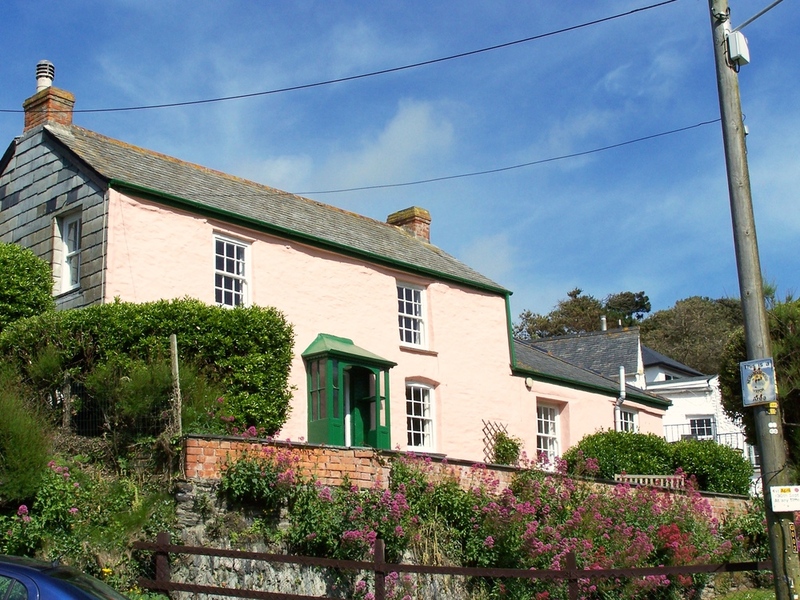 The Pink cottage is a dog-friendly self catering holiday cottage next to the beach at Port Gaverne, near Port Isaac. The Pink Cottage is a self-catering holiday home, and has been loved by five generations of the Price and Marnan families stretching back 100 years. Here's the story. 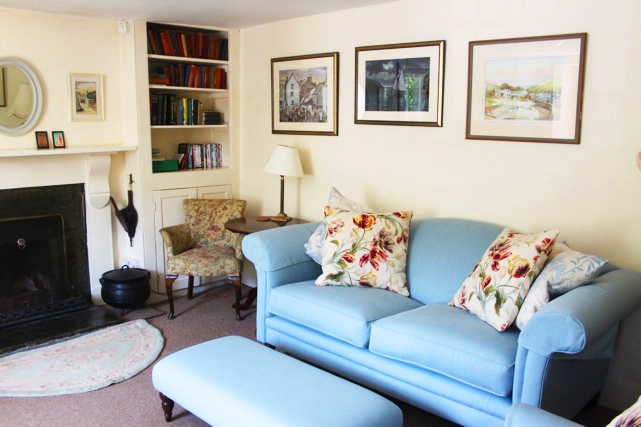 The cottage has five bedrooms - one double / twin on the ground floor with an adjacent shower room and loo, one double and another double / twin room upstairs with sea views, and two single rooms. There's a large family bathroom upstairs at the back of the house. 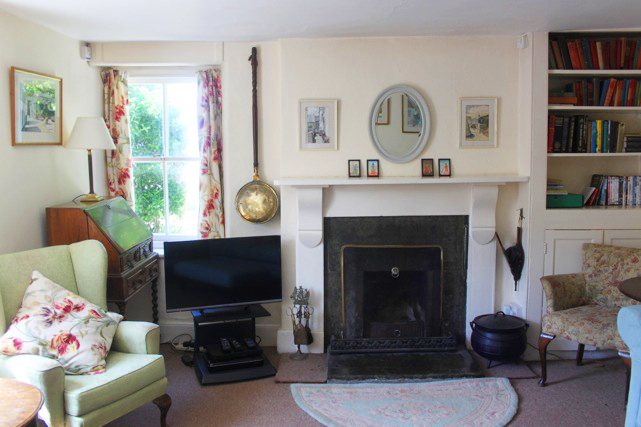 Downstairs is a sitting room with an open fireplace, a light-filled dining room with a fantastic slate flagstone floor, and a kitchen with an electric cooker, microwave, fridge, freezer and dishwasher. Naturally, we also have a washing machine and tumble drier. A back door leads from the kitchen to a small sunny courtyard which is ideal for drying clothes, towels and wetsuits. To the front of the cottage there are south-facing lawns on two levels. The Cottage steps are the perfect place to sit and gaze out to sea, perhaps unwinding with a glass of wine or a pint from the pub next door. Parking: To the side of the top lawn we have off-road parking with space for two cars. You can also park alongside the lower lawn. Dogs: Dogs are very welcome, but please keep them off the furniture and pick up anything left behind in the garden. There is a small extra charge per dog per week. Bed linen and towels: We provide all linen and bath towels. Please bring your own beach towels. Wifi: The cottage has a BT Wireless hub. Mobile reception: The village has 3G coverage for EE and Three customers. There is a phone for local and incoming calls only. Electricity: All electricity is included in the rental charge.